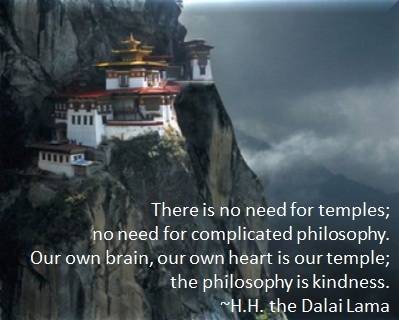 This entry was posted in Kindness and tagged acts of kindness, being kind, dalai lama, kindness, love, philosophy, religion, temples by CommonKindness. Bookmark the permalink. i am going to use this quote on my blog, hope it is okay that i reblog?